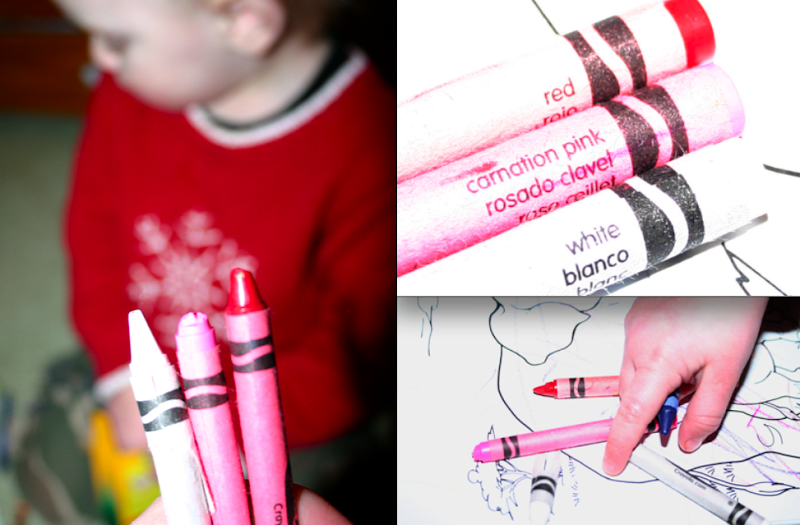 Baby O was coloring the other day and I noticed the red, pink and white crayons. It made me excited for Valentines. I then started noticing red, pink and white everywhere. 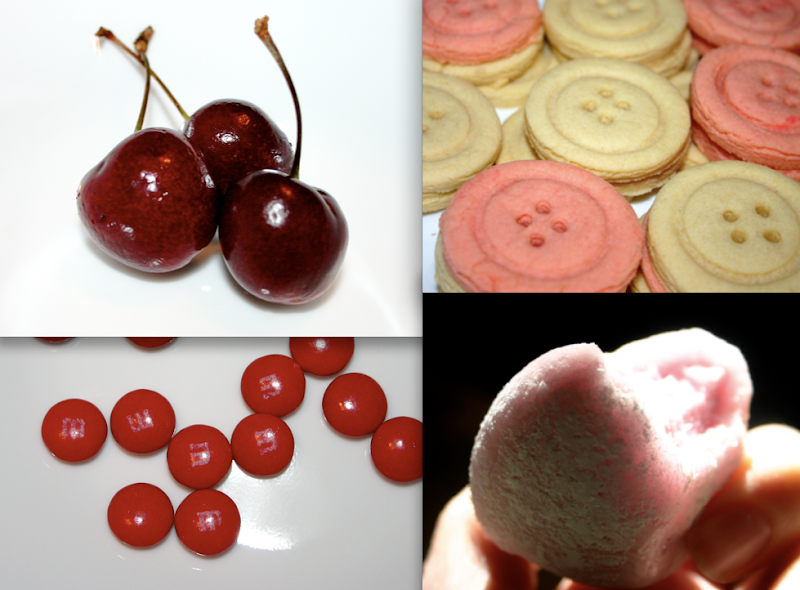 Eating $4/pound cherries, pink/white button cookies, red m&ms left over from Christmas, and strawberry mochi...yum! 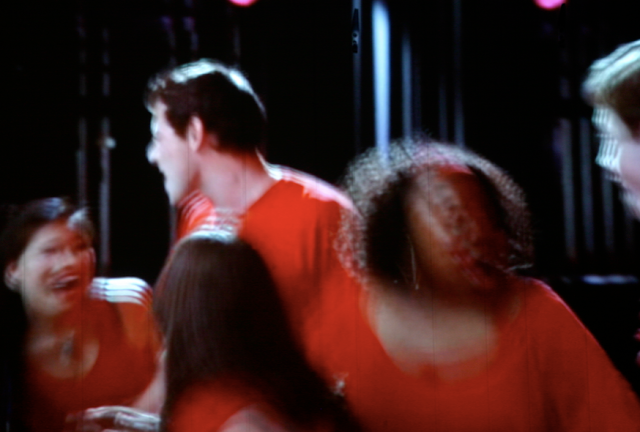 watching Glee - "don't stop believing" - i only watched this b/c other people were blogging about it...my new favorite show...honest. (watch a couple of episodes for free on hulu, while they are still there) Baby O's red sweater, red pjs (on the ground), my pink shirt, red sweater and red shoes (from Casi). Notice anything? Stay tuned...I have a couple more red, white and pink favorites.